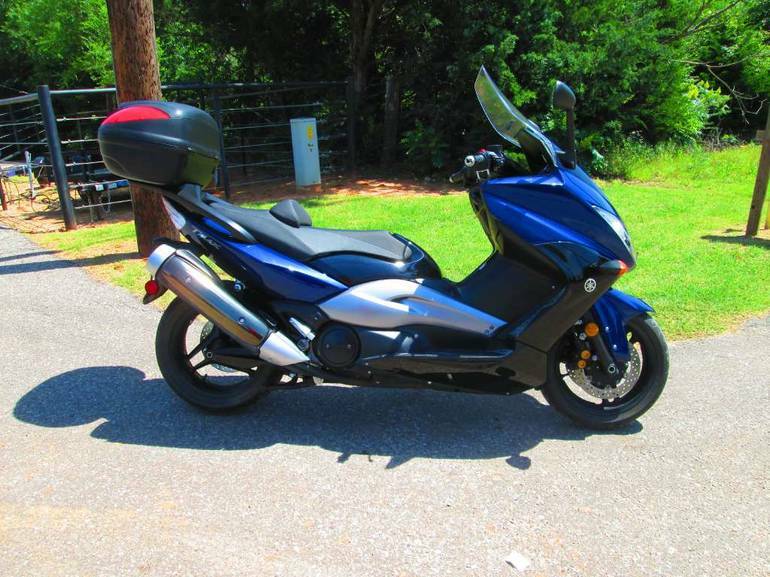 2009 Yamaha TMAX, VERY CLEAN WITH TRUNK - MAXIMUM SCOOTER Blurring the boundaries between scooter and motorcycle - a super sport automatic fuel-injected, liquid-cooled, four-valve per cylinder engine boasts, controlled-fill, die-cast aluminum frame, 43 millimeter front forks, four-piston caliper dual front disc brakes, and rear disc brake. 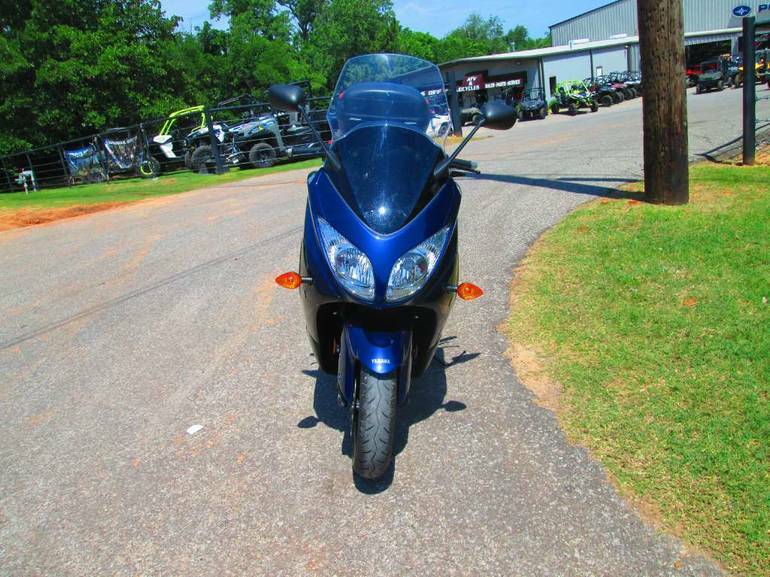 Plus a multifunction instrumentation with speedometer and tachometer and radical sports styling and fuel economy up to an estimated 47 miles per gallon with a fuel tank that holds four gallons. 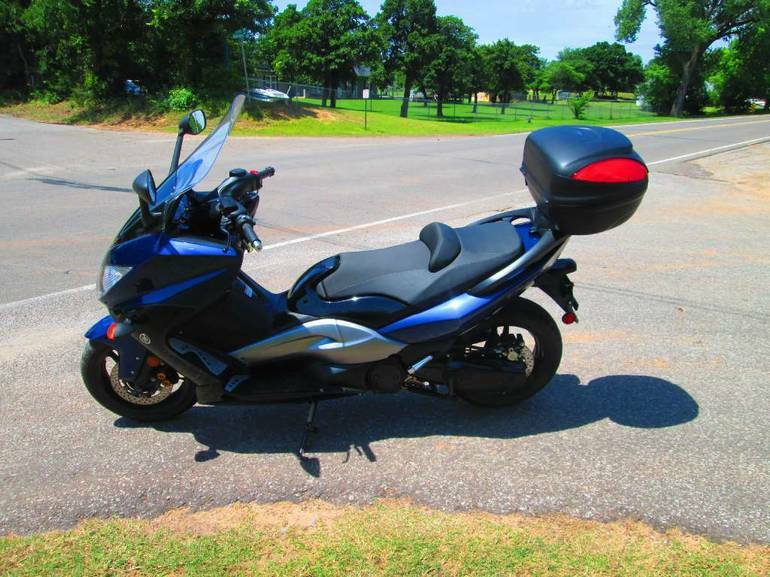 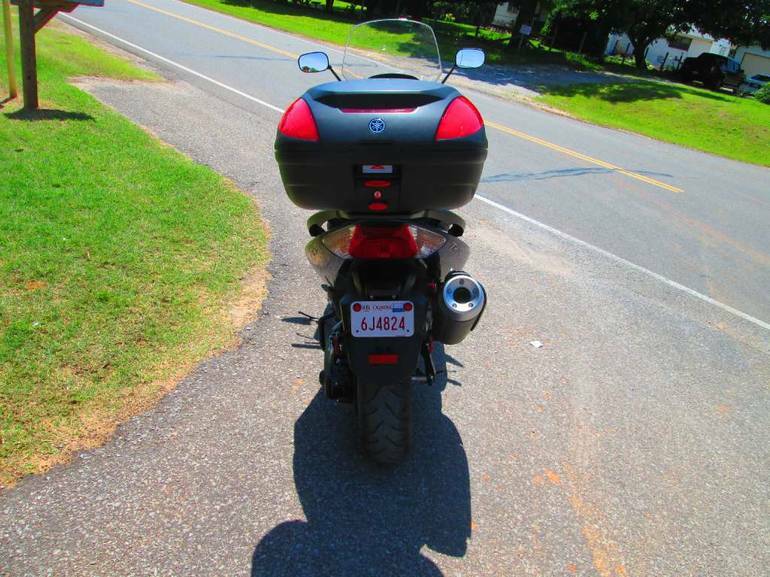 All Yamaha pictures are kind of Yamaha HD motorcycles picture was taken, including motor fuel gauge, engine, engine mounts, tires, fuel tank, the car handles, lights and so on, 2009 Yamaha TMAX full-screen viewing,2009 Yamaha Motorcycles today Price: $4,999 .